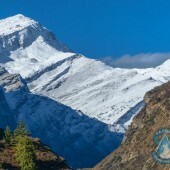 Upper Dolpo trek is fully wild trekking in western Nepal offers beautiful views of landscape and unique hilly culture. Trekking to the upper part of Dolpo region is challenging and adventurous one. 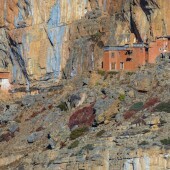 The Upper Dolpo is still under the development, so camping arrangement is necessary. 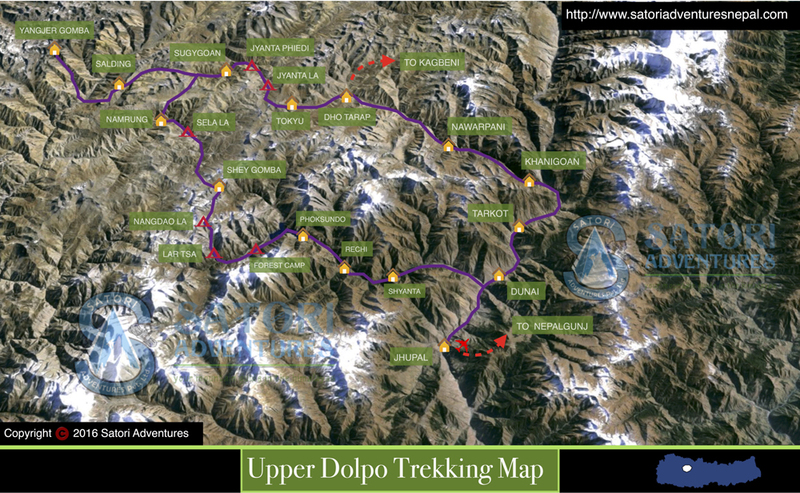 Upper Dolpo treks starts after a one hour flight from Kathmandu to the village of Nepalgunj. During the flight you will enjoy eye catching views of the Himalaya to the north. From Nepalgunj you will then fly to Juphal which takes 35 minutes. Here the trek winds through terraced fields to the Bheri River and a narrow canyon which will lead you to a relatively larger village called Dunai. 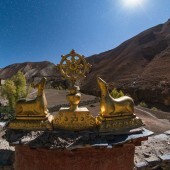 You will also cross a few high Himalayan passes and enjoy the beauty of Phoksundo Lake. 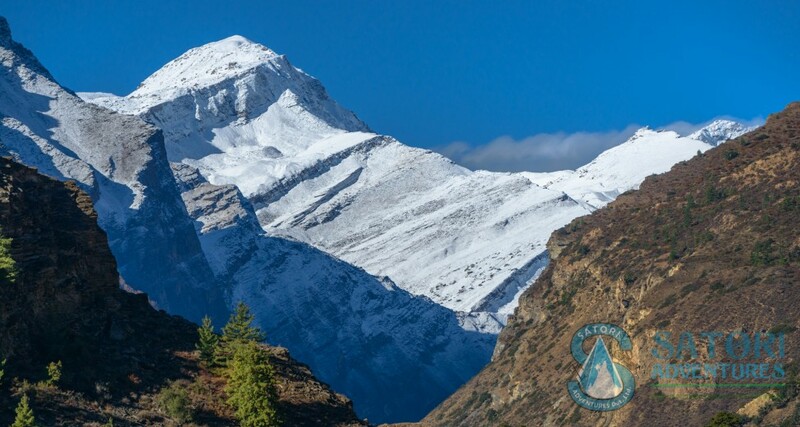 While trekking in this route you will pass many mountain ranges like Annapurna, Dhaulagiri and Kanjiroba. You will also go through many passes like Kang la pass and Jeng la pass. 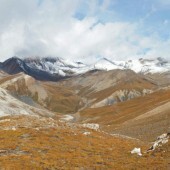 The major places for trekking here are Anke, Renje, Phoksunda Lake, Kang la pass, shay Gompa, Jengla pass and Khani Gaoun. Group Size: 02-12 persons per Group. Day 03: Fly from Kathmandu to Nepalgunj (70M/230ft.) transfer to hotel, Hotel accommodation. Day 04: Fly from Nepalgunj to Jhupal (Dolpo) (2,320m/7,610ft.) and trek to Dunai (2,850m/9,348ft, 02-03hrs) Tea House/Camping accommodation. Day 05: Trek from Jhupal to Tarakot (2,543m/8,341ft, 05-06hrs) Tea House/Camping accommodation. Day 06:Trek from Tarakot to Laini (3,160 m/10,365 ft, 05-06hrs) Tea House/Camping accommodation. Day 07:Trek from Laini to Nawarpani (3,545m/11,627 ft, 05hrs ) Tea House/Camping accommodation. Day 08: Trek from Nawarpani to Do-Tarap (4,090m/13,415ft, 07-08hrs) Tea House/Camping accommodation. Day 10: Trek from Do-Tarap to Numa La Base Camp (4440m/14,563 ft, 06-07hrs) Tea House/Camping accommodation. Day 11: Trek from Numa La Base Camp to Cross Numa La (5,190m/17,023ft), and camp at Pelung Tang (4465m/14,645 ft, 06-07hrs) Tea House/Camping accommodation. Day 12:Cross Baga La and camp Dajok Tang (4,080m/13,382ft, 06hrs) Tea House/Camping accommodation. Day 13: Trek from Dajok Tang to Ringmo (3,600m/11,808ft, 03-04hrs) Tea House/Camping accommodation. Day 14: Rest Day at Ringmo for explore Phoksundo Lake (3,612m/11,850 ft) Tea House/Camping accommodation. Day 15: Trek from Ringmo to Shyanta (2520m/8,265 ft, 05-06hrs) Tea House/Camping accommodation. Day 16: Trek to from Shyanta to Jhupal (Dolpo) (2,320m/7,610ft, 05-06hrs) Tea House/Hotel accommodation. Day 17: Fly to Nepalgunj to Kathmandu (70M/230ft.) transfer to request category hotel accommodation. Day 19: Drop to Airport for final departure, or Join alternative activities. Mode of trekking(camping or Tea house base). 4 Nights request hotel accommodations in Kathmandu on Bed and Breakfast basis. Schedule Flight Tickets for Kathmandu-Nepalgunj-Kathmandu sector both members and involved trekking staff. Schedule Flight Tickets for Nepalgunj-Juphal sector both members and involved trekking staff. 3 Meals a day breakfast (Breakfasts, Lunch and Dinners with tea or coffee) during the camping as per Itinerary If you select camping accommodation). Personal Emergency rescue evacuation if required. Tea or Coffee, hot and cold drinks, hot shower at Tea house/Lodge/ Guest house. 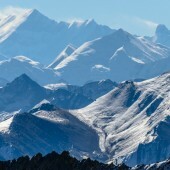 Unforgettable view of western parts of Himalayas.